Love where i live and how the property is maintained.submitted by James B. - Feb 20, 2017 |Recommended: YesI would say is safe, clean and convenient. Best Apartment I've Lived In submitted by William S. - Feb 03, 2017 |Recommended: YesStaff is super friendly, the grounds and interiors are always clean, and maintenance is easy to contact and quick to address any issues. Very Nice submitted by Lauren L. - Jan 31, 2017 |Recommended: YesFriendly and helpful staff. Maintenance is quick about fixing any problem. Kept clean.  Life at the Havensubmitted by Tara N. - Dec 21, 2016 |Recommended: YesSo far I have been very pleased with our living accommodations at the Haven. The amenities are excellent and the service in the leasing office wonderfulsubmitted by Romain D. - Jan 04, 2016 |Recommended: Yesis very calm and quiet, service is excellent in the leasing office, although the rent is expensive. response from property - Jan 12, 2016 Thanks Romain! We very much enjoy having you and Barbara with us. Happy New Year. Decent but nothing specialsubmitted by Benji S. - Dec 31, 2015 |Recommended: NoI guess my last review was lost This is a decent complex, but I would not say there is anything special about it. The noise control is fair at best. Make sure you get an apartment on the fourth floor or you will be subjected to the movements of the person above you. The maintenance team is excellent. It appears Corporate clients do not have to clean up after their pets so now we have piles of dog crap everywhere. The big plus is the Seneca Valley School if you have children. The only reason I would not recommend to a friend is I think there is comparable choices in the area for less money. I also think this started off as an exclusive apartment complex, but I am not so sure anymore. It appears the vetting process has taken a back seat to filling the apartments. response from property - Jan 12, 2016 Thank you for your review, Benji. Our staff is available 7 days a week, and we would be happy to discuss any concerns you may have. Truly a haven from life.submitted by Sean B. - Dec 15, 2015 |Recommended: YesIt is a fantastic facility. The employees are friendly and helpful, the living space is just the right size and layout, the amentities are what really set The Haven apart from other places. response from property - Dec 27, 2015 Thanks Sean, Hope you and your family have a great holiday season! We appreciate the feedback. Awesome Property Highly Recommendsubmitted by Chelsea N. - Dec 09, 2015 |Recommended: YesExtremely satisfied. response from property - Dec 14, 2015 Thanks so much Chelsea. We enjoy having you as a resident! See you at the Holiday Party? General Reviewsubmitted by Rachel S. - Dec 08, 2015 |Recommended: YesThis is a 5 star community were I am proud to bring my friends and family I love living here. response from property - Dec 14, 2015 Thanks Rachel. We try our best to satisfy our residents needs. Thanks for the wonderful review. Hope you have a great holiday season. Best place I have ever livedsubmitted by Erika G. - Dec 02, 2015 |Recommended: YesI love all of the amenities The Haven has to offer. It is very relaxing and everyone is so friendly. I enjoy how they keep the community involved with events such as free yoga by the pool, holiday and football parties It is nice to come home to after a long day of work. I would recommend to anyone. response from property - Dec 04, 2015 Erika, we are so glad you picked The Haven. Our Holiday Party invitations will be out soon. Hope to see you there! It heaven at The Havensubmitted by Donald D. - Dec 01, 2015 |Recommended: YesWe love living here and we love everything about it. response from property - Dec 04, 2015 Thanks Don, we love having you here! response from property - Dec 04, 2015 Laurie, thank you! We hope you enjoy your day.